The deadline to donate to the annual clothing drive hosted by California State University, Northridge’s volunteer program Unified We Serve has been extended to Nov. 30. 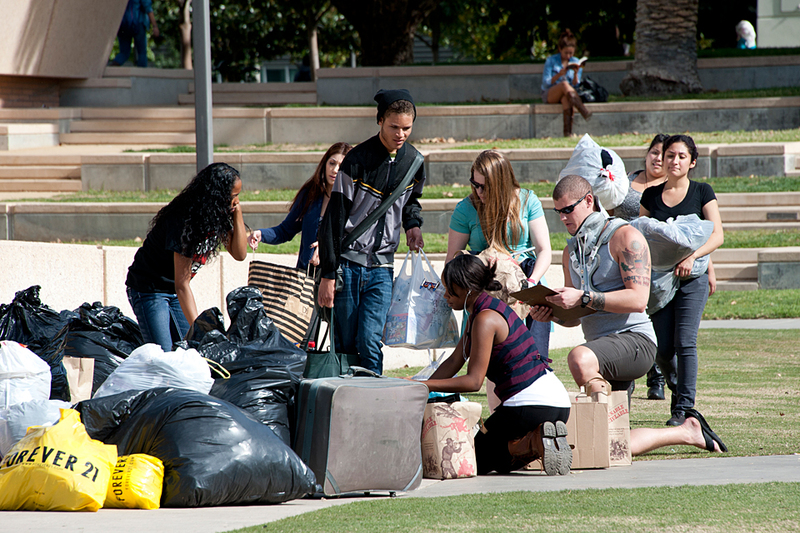 A special collection in front of the Delmar T. Oviatt Library will take place from 10 a.m. to 2 p.m. Thursday, Nov. 15. Donations are being collected on CSUN’s campus in bins located in the Matador Involvement Center, Sierra Hall and Bayramian Hall. Unified We Serve is asking the community to donate the following: coats, new underwear, socks and plastic ponchos. Donations will be given to Meet Each Need with Dignity (MEND), a nonprofit organization that aims to provide less-fortunate families with basic necessities. This drive is a competition among university-recognized clubs and organizations. The three clubs that collect the most donations will be awarded up to $300 that will be donated in their Associated Students accounts.